It’s time for the annual MLS TUB SALE! 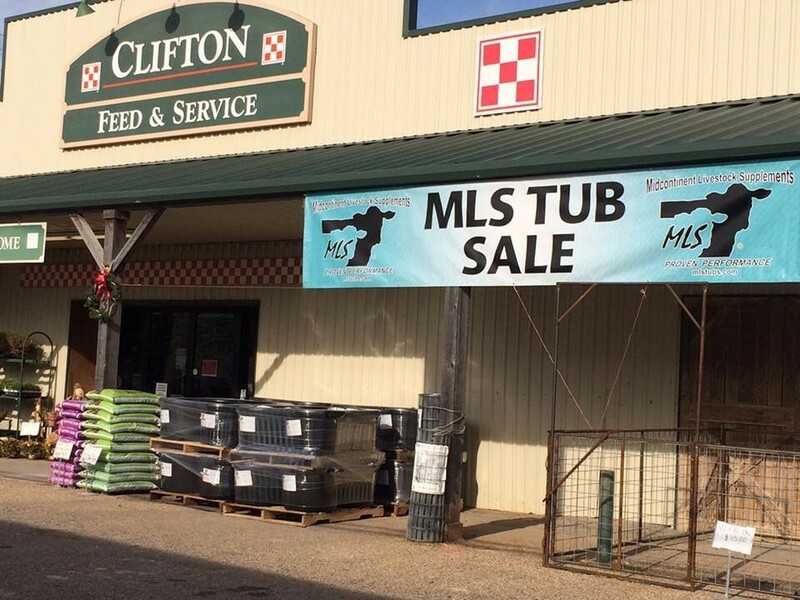 Stop into Clifton Feed and Service Center for your MLS Tubs. Calling ahead to let us know of special orders will help us stock proper inventory. Be sure to bring your trailers so you can haul away on the same day. Visit our website or call us at (254) 675-3416 for any questions or special orders—see you there! Other Announcements, Events and Deals from Clifton Feed and Service Center, Inc.
A. Clifton Feed and Service Center, Inc.